Gerald was appointed Head of Sales for Commercial Payments in 2012. 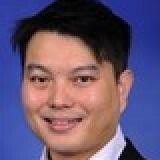 He is responsible for MasterCard's suite of business and public sector payables & receivables solutions Asia Pacific. He has more than 10 years of experience in helping large organizations digitize how they collect & pay; for example, he pioneered Singapore Airlines eCommerce business. He has held various sales, marketing and product roles across Finance, Manufacturing & Travel. He continues to with some of the largest companies in Asia Pacific and their partners on improving their working capital and operations through innovation in payables & receivables. 12:20 Sponsor case study: How can digital enablement increase financial efficiency and effectiveness?